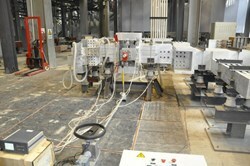 The test platform at ASIPP was built to qualify the ITER poloidal field power converters. With a peak AC current at 415 kA and a peak DC current at 385 kA, the ITER power supply test facility at the Institute of Plasma Physics, Chinese Academy of Sciences (ASIPP) set a new record on 2 December 2013, demonstrating its capability to host the demanding short circuit test for ITER power converters. The facility, under construction since 2008, consists of three test platforms that can support the AC short circuit test up to 350 kA, the DC multifunction test up to 400 kA and 2 kV and a steady state test up to 60kA/1.35 kV. 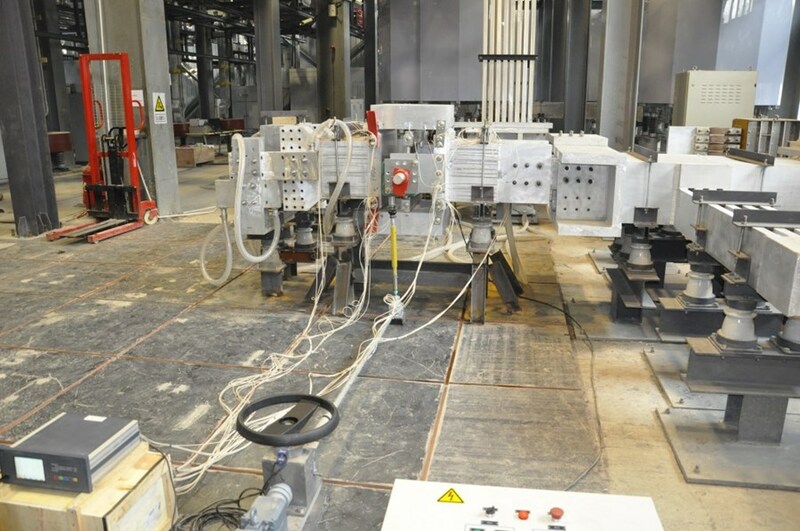 The three platforms can perform all the tests required for qualifying the ITER poloidal field power converters, including rated current tests, short circuit current tests, temperature rise tests and control/protection/operation verification. In addition, they are able to provide a wide range of regulated current and voltage for the different purposes of the tests. Moreover, the facility can host the installation of an entire poloidal field converter unit and operate it in different modes to simulate real ITER operation. The test facility has already started accompanying the development of the ITER poloidal field converter prototype components. Several types of tests have been run, including the short-circuit (175 kA) and temperature rise (28 kA/4 hr) tests of the DC reactor; the short circuit withstand (350 kA/100 ms) and thermal stability (140 kA/2 s) tests of the enclosed AC busbar; and the short circuit withstand (350 kA/100 ms) and temperature rise (55 kA) tests of the DC disconnector. The short circuit withstand (350 kA) and the current balance tests of the converter bridge and external bypass will be performed soon.